There are so many things in the culinary world that will give you bad breath, but there’s only one, that I’m aware of, that’s so totally worth it, I would eat it every day if I could. This little packet of flavor is my absolute favorite appetizer of all time. The only problem I have with eating them is that I end up with dragon breath that lasts for days. I love them so much I even wanted to serve them at our wedding a couple of years ago, but talked myself out of it because I was fearful of how bad the room would smell with everyone eating, talking, and kissing. Guys, Valentine’s day is just a little over a month away and if you’re looking for an easy way to dump your current girlfriend before the big date, make up a batch and eat these everyday. It’s a sure fire solution to keep her away from you, far away, along with everyone else. And if she doesn’t leave you after eating these deadly breath bombs, you’ve got a keeper. Cut the stems off of each cherry pepper and remove the seeds and stem. Depending on the size of each pepper, wrap one slice, or a half of a slice of salami or prosciutto around each cube of cheese and stuff the meat wrapped cheese into the pepper. 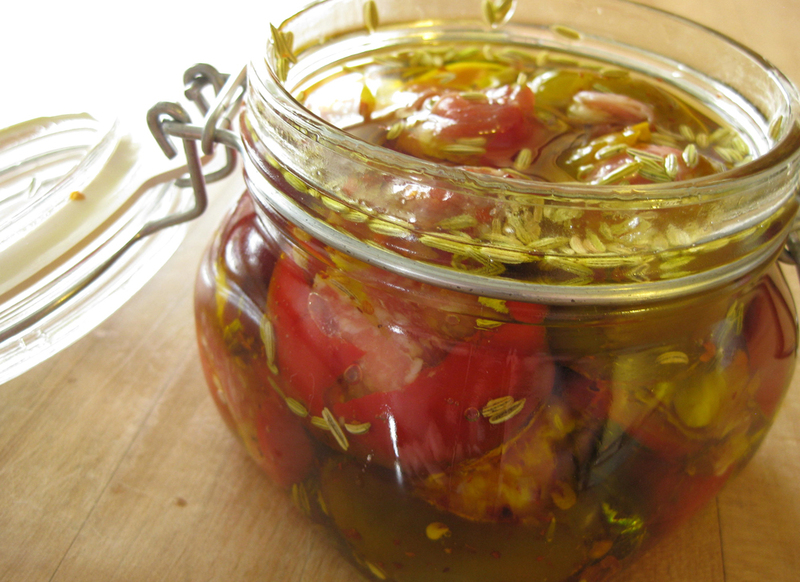 Fill sealable jar with the peppers and top with olive oil, red pepper flakes, and fennel seeds if using. Store the jar in the fridge and let sit at least 24 hours. 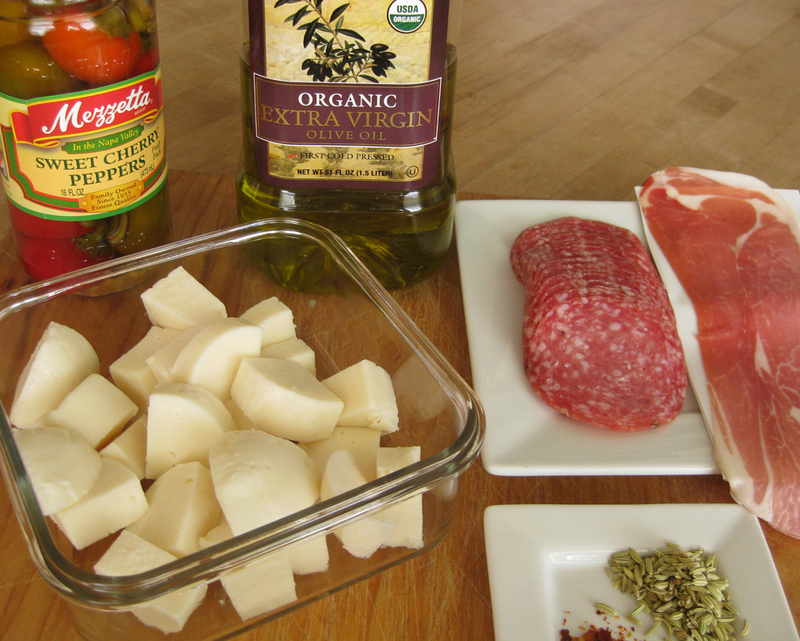 As you eat up the peppers, use the olive oil in salad dressings or as a seasoning for pastas, sandwiches, etc.